New cover, smoother reading and a great learning experience for myself. I’m happy to mention that the official editing round of ‘Windcatcher – Book I of the Stone War Chronicles‘ has been completed. 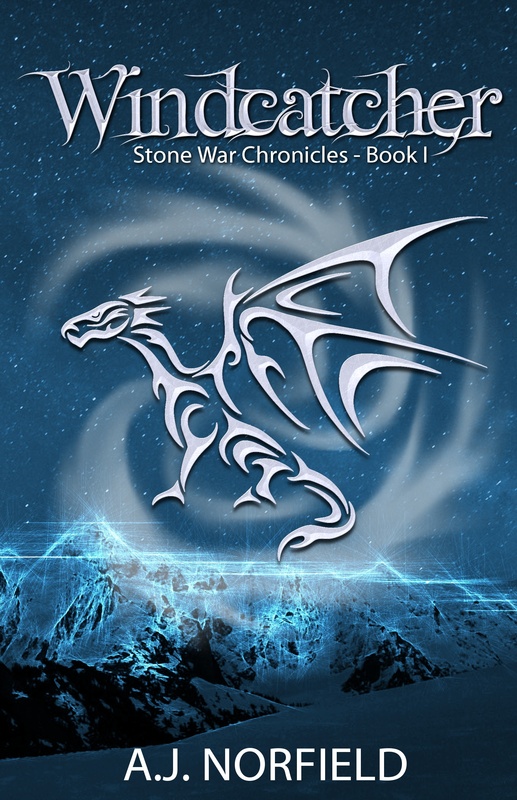 The latest version of this dragon fantasy adventure is now available on Amazon. Now that the polished version is up on Amazon, I’ll focus on exploring other distribution channels like Kobo, Nook, iBook, as well as paperback distribution. There’s a lot to consider and explore—with all the differences between the distribution platforms—one could really make a full-time job out of it. “Isn’t that what publishers are normally for?” you ask. Yeah…well, what can I say? Welcome to the wonderful world of self-publishing! It’s a constant learning experience in a world where new opportunities, and new obstacles, appear almost every day. Maybe one day I’ll write about it on this blog; but, for now, I’m just happy to see the my latest efforts take shape into something that readers can enjoy. Feel free to pick up a copy on Amazon (or update your previously purchased versions for a better experience) and let me know what you think of the story (or new cover for that matter) so far!